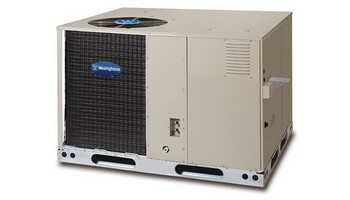 The Westinghouse FS4BF series of air conditioners offers premium comfort and energy efficiency. This unit can supply up to 16-SEER cooling efficiency when paired with certain indoor air handlers or gas furnaces. It is also durable - with corrosion-resistant coils and a galvanized-steel outer shell. Westinghouse furnaces are built with proven components to provide safe, clean and reliable comfort year-round. For example, our stainless steel secondary heat exchanger has a limited lifetime warranty. A Westinghouse furnace cabinet is fully insulated to shield operation sound making this furnace one of the quietest available today. Westinghouse units are designed to last and last. In fact, they are built using galvanized steel coated in a polyester-urethane finish that helps them resist corrosion. Ensuring Premium Quality: Each packaged air conditioner that leaves a Westinghouse factory is checked 72 times at every stage of the manufacturing process to ensure quality. If you're looking for a system. That will work hard as you work and be there for you. This is your system. 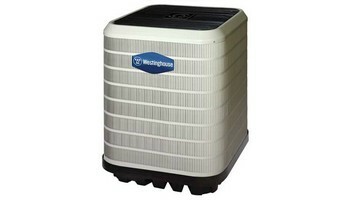 Having a Westinghouse furnace installed is the way to go if you want a long-term relationship with a good furnace. You will actually start talking to it! To install a Westinghouse furnace it's good to know what efficiency and savings you get. Westinghouse furnaces are built to last. 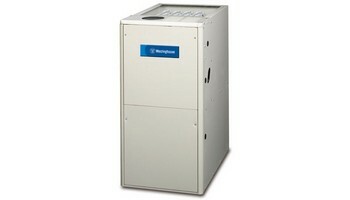 The new Westinghouse 96% efficiency variables speed furnace. Are the best forced air systems. That is out there today. Dependable reliable and will save you hundreds and hundreds of dollars. Throughout the seasons. And thousands of dollars throughout the years. If you're looking to install a Westinghouse furnace. Call The Price is Right Heating and Air Conditioning HVAC company. Where Westinghouse furnace installs is our specialty. When you install a Westinghouse furnace you are installing a piece of History that has been around for decades. These forced air systems are one of the top best sellers all around the world. When you think of Westinghouse. You think of comfort Peace of Mind reliability dependability. Built to last that is Westinghouse. Install a Westinghouse furnace in your home today. Whenever someone hears the name Westinghouse they know that that name has been around for decades. When installing a Westinghouse furnace. You know that that furnace is going to last you for decades. To install a Westinghouse furnace. Is to do the right thing for your family. This furnace will always work hard for you. You can always rely on this system to do what it needs to do. No matter how cold or how hot. This system is built to last and built to give you comfort. Install a Westinghouse furnace today. Call Azrikam The Price is Right Heating and Air Conditioning today. We're Westinghouse furnace installers and if you want to see the best professional furnace installers go and look at Azrikam heating and look at all the Westinghouse furnace installation that we have done. Some of the best installation jobs that are done. Are done from The professional HVAC installers. Installing a furnace like Westinghouse shows how much you care about your family. Because you want to make sure you're always doing the right thing for them.